An Orlando boarding stable is under a state imposed quarantine after three horses tested positive for the Equine Herpes Virus (EHV-1), according to the Florida Department of Agriculture and Consumer Services. Two of the horse’s new barn mates at the hunter/jumper stable began showing neurologic signs and also tested positive for EHV-1. They are doing “very well” and continue their recovery at the stable. An additional 33 horses call the farm home. Symptoms of the infection include fever, decreased coordination, nasal discharge, urine dribbling, loss of tail tone, hind limb weakness, leaning against a wall or fence to maintain balance, lethargy, and the inability to rise. While there is no cure, the symptoms of the disease may be treatable. Horse owners should watch their horses carefully and call their veterinarian immediately if any abnormal signs are observed. 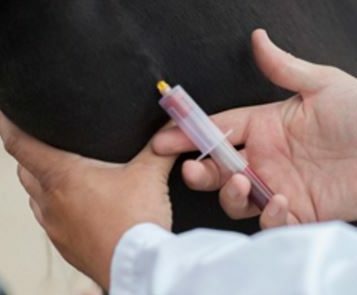 “Using sound bio-security practices is very important in preventing the spread of the virus and these preventative measures should be implemented in daily management practices,” said Dr. Short. There are currently no other cases of EHV-1 reported in the U.S., according to Florida state officials.